Asthma is a very common respiratory disease that is a result of a blocked bronchial passage. It is a long-term lung disease. Asthma makes breathing difficult and causes your chest to tighten. 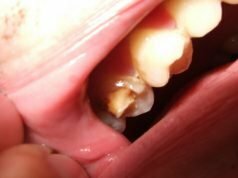 It can be caused if the passage gets narrow and swollen, or sometimes congested with mucous. This results in a lack of breath, wheezing and coughing. There are times when asthma can get triggered due to reasons like pollution, toxins, allergies, dust, and exposure to chemicals, exaggerated exercise and stress. You would be surprised to know that damage done due to respiratory infections during birth can also result in asthma. Asthma is one of those rare diseases which have no permanent cure as of yet. All you can do is, identify factors which trigger asthma attacks and try to avoid them as best as you can. Sometimes, you are also prescribed inhalers and medications to cope with this particular health issue. It is not uncommon for this disease to run in families. 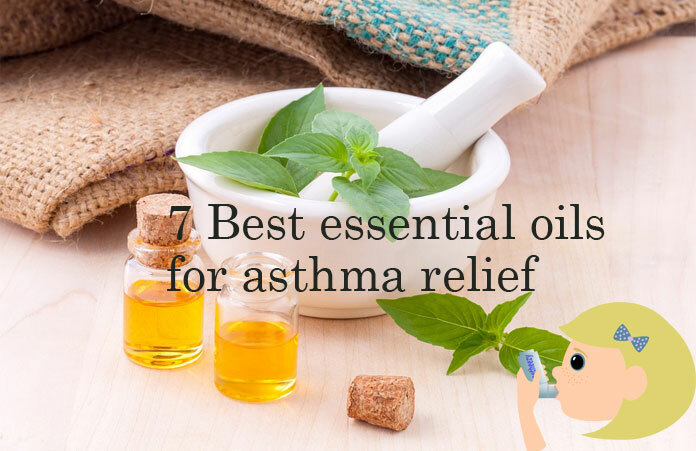 Aromatherapy experts state that in case of asthma, essential oils play a vital role as they help in relaxing the muscles around the bronchial passage and also help in reducing inflammation thereby allowing air to flow freely through the nasal passage. Peppermint essential oil has two significant properties, antihistamine and decongestant properties that would surely help you get respite during asthma attacks. Essential oils relax the muscles around the respiratory passage. Peppermint oil smoothens and eases the muscles helping you breathe without difficulty. A very interesting fact is that this essential oil is incredibly beneficial in treating asthma that occurs due to over exercising. One of the main causes of asthma is contact with allergens like pollen and dust mites. Your body releases histamines that trigger asthma attacks due to these allergens. Peppermint oil hinders the release of these histamines. How to use: Add a few drops of this essential oil to a cotton ball and inhale it for 5-10 minutes. This will help you breathe easy as peppermint oil has antispasmodic effects on your bronchial muscles. Another option that you can try out is by making a mixture by combining eight drops of lavender, 1 drop of lemon, 2 drops of peppermint oil and 20 drops of carrier oil. Now all you have to do is rub this mixture on your chest 2-3 times a day to prevent further asthma attacks. Lavender oil has anti-inflammatory and sedative properties which will definitely help you in dealing with asthma in a much better way. Due to its anti-inflammatory properties, it helps in lessening the inflammation of your respiratory tract, which is one of the reasons of asthma symptoms. Not just this, lavender oil can help you in various other manners. This essential oil stimulates your blood flow, improves your digestion, treats other respiratory issues like bronchitis, congestion, tonsillitis, laryngitis etc. and strengthens your immunity system. You would be happy to know that lavender oil, as agreed with several aroma therapists, is one of the most common and versatile essential oils. How to use: Lavender oil can be used in several ways to get relief from asthma. One way is to inhale the lavender steam. Add about 8-10 drops of lavender oil on a bowl filled with hot water. Cover your head with a tower and inhale the vapour. If you want a good sleep in the night and want to avoid any asthma related symptoms, then carry this procedure before sleeping. Repeat this twice a day for best results. Another way to use this oil is to combine it with either peppermint or eucalyptus oil and inhale this mix. This will help you get relief from minor asthma attacks. Tea tree oil is best known as an essential oil that removes mucous from your respiratory system effectively. Formation of mucous in your bronchial passage is another main reason of suffering from asthma. It is most commonly used by people suffering from bronchitis as a breathing aid. This essential oil is also helpful in getting rid of other respiratory issues such as coughing and wheezing. Tea tree oil also aids in lessening your body’s response to allergies. How to use: Like other essential oils, using a tea tree oil to take care of asthma is quite uncomplicated. There are two ways of using tea tree oil. Take a clean towel and dip it in warm water, put some drops of tea tree oil on the towel and breathe through it until its cold. Repeat the procedure till you start getting some relief. There is one more method of using this oil. Add 8-9 drops of this essential oil to one tablespoon carrier oil. This carrier oil can be either almond or coconut oil. Rub this mix on your chest before bed time for a good sleep. The strong aroma of eucalyptus helps in your respiratory tract. Till now you surely have an idea of the various causes of asthma; phlegm and mucous are just few among them. The chemical Eucalyptol present in the Eucalyptus essential oil helps you by getting rid of all the mucous and phlegm in your respiratory system, thereby allowing you to breathe easily. It will also aid in clearing the blocked nasal passage. Eucalyptus oil also has anti-histamine properties thereby preventing your body from getting affected by allergens like dust, mould, pet hair etc. How to use: Add a few drops of Eucalyptus essential oil to a container filled with hot water. Cover your head with a towel and inhale the steam coming out. This steam will help relax the muscles around the bronchial passage and clear the blocked respiratory tract, thus helping you breathe freely and easily. Continue doing this twice or thrice a day for best results. It is said that out of all the essential oils, clove oil is one of most helpful one. Clove essential oil has several properties which will help you get relief from asthmatic attacks and symptoms. These properties include analgesic, anti-inflammatory and antispasmodic properties. If you think this oil will help clear the congested passages then you guessed it right. Clove essential oil helps in clearing your nasal passage and gives you respite from breathing problems. Along with reducing muscle inflammation, it also takes care of the mucous and helps you get rid of them. How to use: You have to be careful with clove oil. Don’t apply clove oil directly on your body as it can cause skin irritation and itchiness. One way of using clove oil is with a carrier oil like almond or jojoba oil. Mix one tablespoon of carrier oil with 6-7 drops of clove oil. Rub this mix on your chest for good 5 minutes. This will give you relief and help you breathe easily. Another way of using clove oil is by using an oil diffuser or a vaporizer. Diffuse this essential oil in the air for about 15-20 minutes. Breathing the clove oil will give you much respite. Oregano essential oil has a major advantage over other oils. Do you know what that is? It is the fact that this essential oil works instantly once inhaled. Oregano oil has two significant properties. They are anti-fungal properties and antibacterial properties. This oil is very helpful in preventing infections in your respiratory passage. 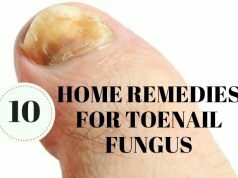 This oil fights the bacteria and fungus that causes asthma thanks to its anti-fungal and antibacterial properties. Oregano essential oil will not only give you a much needed relief from asthma but it will also help in preventing further asthma attacks and asthmatic symptoms. How to use: There are two ways of using oregano essential oil for asthma relief. You will need an atomizer bottle for this. An atomizer bottle helps in reducing a liquid to a fine spray. Take 50 ounce of water in that atomizer and add oregano oil to it. This mix will then become a fine mist spray. Now all you have to do is breathe in this mix to get instant relief from asthma. You can also choose to take a vaporiser or diffuser and mix few drops of essential oil and carrier oil in that. Breathing this mix will give you relief from asthma symptoms. Thyme essential oil has various properties that help you get relief from asthma. These properties include antibacterial, expectorant and antiseptic properties. This essential oil is popularly known to be helpful in boosting your body’s immunity system and making your respiratory system stronger. Thyme essential oil is also known to be highly effective in helping you get rid of all symptoms of asthma, including cold and cough. How to use: There are two ways of using this essential oil to get respite from asthma and asthmatic symptoms. You need around 10 drops of thyme oil and bergamot oil. Rub this mixture on your chest to get some relief. An alternative method is to take a bowl of hot water, add a few drops of thyme essential oil to it, cover your head with a towel and inhale the steam. Breathing in this steam will help you get rid of wheezing and breathing problems. Essential oils are highly beneficial but they should be used with extreme caution and care. You need to make sure it doesn’t trigger your asthmatic attacks and symptoms. Essential oils work great on asthma patients to give them relief. But if you are experiencing any uneasiness then you should immediately consult a doctor.